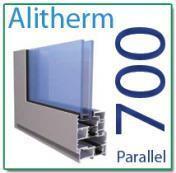 The Alitherm 300 System features an extended Polyamide thermal break which improves the overall U-value of the profile, allowing the Alitherm 300 to achieve a window energy 'A' rating when used in conjunction with the correct double or triple glazed unit. 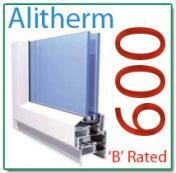 The system is suitable for both internally or externally beaded, side or top hung open our windows. Profiles have the option of either ovolo, chamfered or square edges. Option of either Reversed Action Espag or cockspur locking handles. 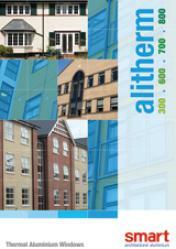 Alitherm products are available in a choice of standard or non-standard colours, including metallic, dual colour and the Sensations range of textured finishes.